Yuanchen Jiang is a graphic and motion designer based in Los Angeles. 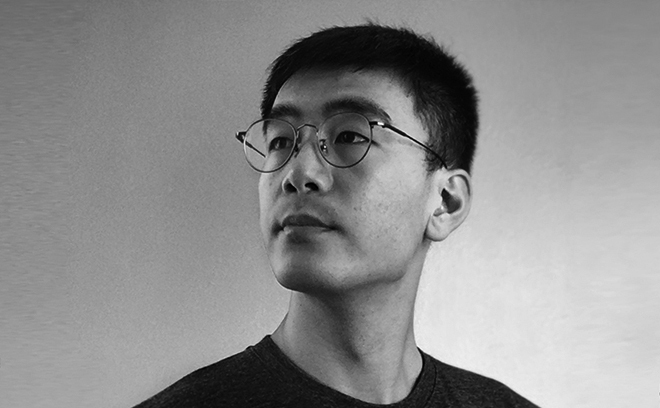 Originally from China, Yuanchen earned his BFA in 2012 from China Central Academy of Fine Art, majoring in visual communication, and his MFA in 2015 from Yale School of Art, majoring in graphic design. Soon thereafter, he joined studio yU+co in Los Angeles, working on commercial, film, and TV projects, including title sequences for The Jungle Book (2016), Kong: Skull Island (2017), The Foreigner (2017), Tomb Raider (2018), Bleach (2018), Robin Hood (2018), Mary Poppins Returns (2018), and more. In 2016, he was nominated for a Tokyo Type Directors Club Award. His work has been exhibited in CAFA Art Museum (Beijing), Fashion Echo D. Park (Beijing), Green Gallery (New Haven), Ginza Graphic Gallery (Tokyo), Museum of Contemporary Art and Urban Planning (Shenzhen).